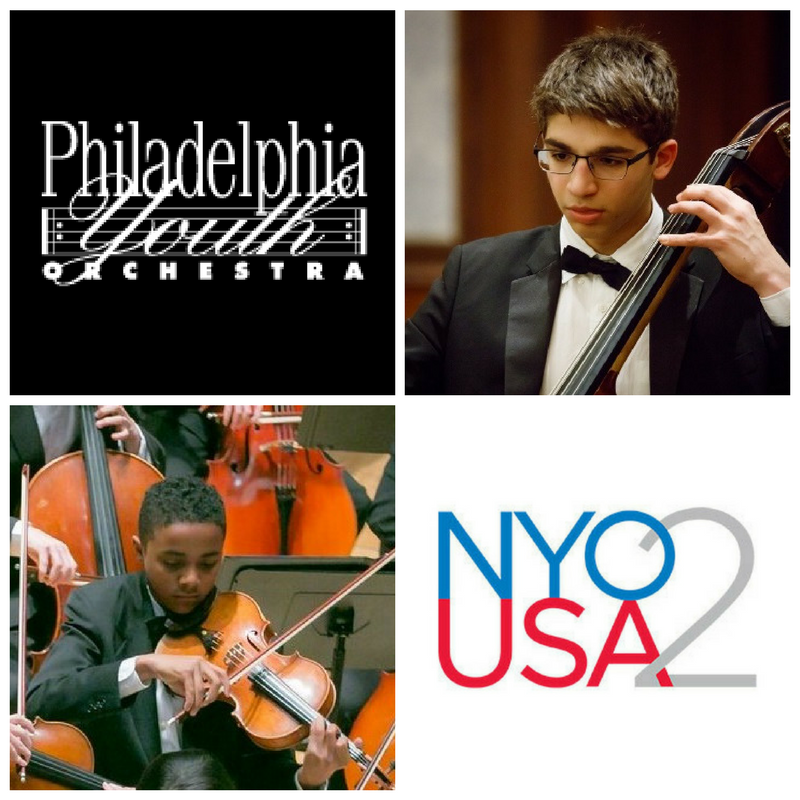 Two Philadelphia Youth Orchestra organization musicians have been selected for the three-week summer program known as NYO2, an extension of Carnegie Hall’s National Youth Orchestra (NYO) of the USA. They are Antonis Christou, 16, double bass student musician who lives in Mooretown, NJ and a member of the Philadelphia Youth Orchestra (PYO), and Peirce Ellis, 14, viola student musician from Philadelphia who is a member of the Philadelphia Young Artists Orchestra (PYAO). The intensive summer program for outstanding American instrumentalists ages 14–17 was launched in the summer of 2016 to expand the pool of young musicians across the country equipped with the tools to succeed at the highest level. NYO2 is free to all participants and offers promising, young musicians the unique opportunity to play alongside talented peers, learn from a world-class faculty, and perform with special guest artists on the stages of some of the world’s most prestigious concert halls. Following an intensive residency at Purchase College, State University of New York (SUNY) in conjunction with NYO-USA, the musicians of NYO2 will make their Carnegie Hall debut on Thursday, July 20 at 7:30 p.m. with conductor Giancarlo Guerrero, who will be returning to lead the orchestra for the second straight season. The program will include Copland’s Billy the Kid Suite, Stravinsky’s Firebird Suite (1919 version) in a side-by-side performance with members of The Philadelphia Orchestra, and a set with special guest vocalist and bassist Esperanza Spalding. The orchestra will also perform in Philadelphia’s Verizon Hall two days prior, on Tuesday, July 18 at 7:00 p.m., in a concert that will feature Falla’s “The Three-Cornered Hat” Suite No. 2, performed by The Philadelphia Orchestra, in addition to the pieces listed above. Over the course of three days in Philadelphia, the NYO2 members will also have opportunities to interact with local young musicians.